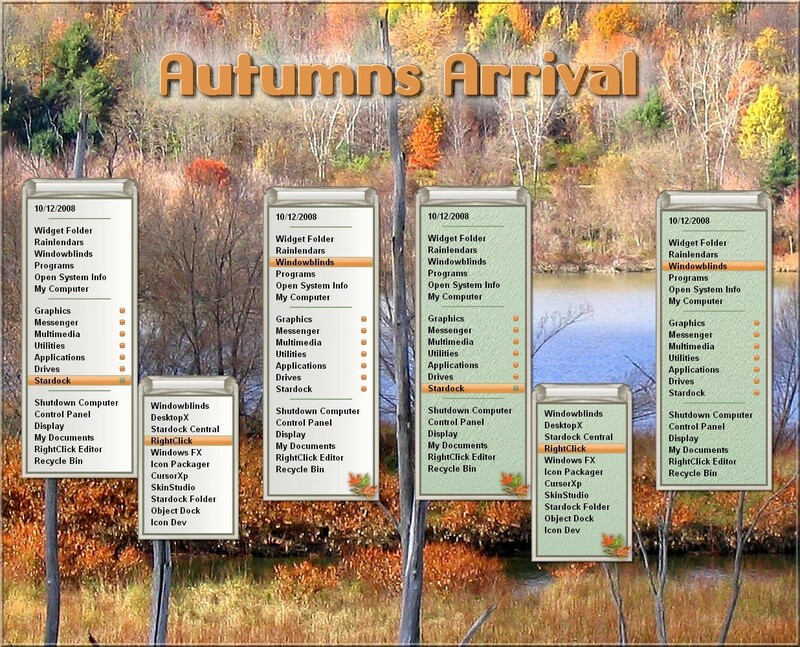 Autumn's Arrival RightClick Pack to match Windowblind by jazzmjr. Zip contains 4 RightClick skins with assorted colors and textures. Unzip to your RightClick skin folder. Read me text and permission are inside each skins folder. Thanks Vervi, Kinger and BK...and your welcome mary jane..sorry about the delay, hard for me to find time these days.. Thanks for stopping by Ken, always appreciated. Thanks Thuglife, always appreciate your kind comments. These look absolutely beautiful Karen.